I have always wanted to do a giveaway!! What a perfect time to do one.....the thankful month! 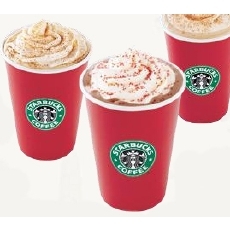 My favorite is Carmel Brule Latte! I'm not a coffee drinker - but pumpkin spice or vanilla lattes sure are good! Yes ! Caramel Brulee latte!!! Hey there!! Thanks for commenting!! DOn't forget to process your entry through rafflecopter....it will pick the winner. It won't know if you commented or followed/following, unless you process your entry! Good luck everyone! I like the iced caramel macchiato and green tea frapp! !